are listed under MISC. Under "Other" are books that are not of the "shared universe". After the title and copyright date I have added a few personal comments about some of the books. Naturally. Inspector's Holiday (©1971 ) Unusual. Takes place on the high seas. Obvious bad guy. With One Stone (©1961) Subpar book. Obvious. Very limited number of possible suspects. Show Red For Danger (©1960) OK book but a very obvious solution. Unusual emotional outburst by Heimrich. Accent On Murder (©1958) Good book. Very surprising in some respects. Practice to Decieve (©1957) Excellent book. The story moves along nicely and the solution is not clear until the end. Let Dead Enough Alone (©1955) Good book though somewhat claustrophobic. Burnt Offering (©1955) Pivotal and engaging book. Death and the Gentle Bull (©1954) Good book. Stand Up and Die (©1953) This is not one of my favorites. Death by Association (©1952) Very good book, takes place out-of-state. A Client is Cancelled (©1951) Excellent! Written from a different perspective. Foggy, Foggy Death (©1950) Very good book. Spin Your Web Lady (1949) Hard to find. VERY GOOD book! Think Of Death (1947) Good book. Well plotted and not obvious as to the solution. Heimrich's role is limited. Murder By The Book (1963) Good book, takes place in Florida. The last Pam and Jerry mystery. The Long Skeleton (1958) Decent book but not one of my favorites. Somewhat unlikely at times. Curtain For A Jester (1953) The first Lockridge book I read as a teenager. Death Has A Small Voice (1953) Good book. Edgier than the average North book. Dyckman University is mentioned. Dead As A Dinosaur (1952) Off-beat, slightly diffrent feel than most of the North books. The Dishonest Murderer (1949) Good but not great. Murder Within Murder (1946) Outstanding book. It was the final North book I read and what a great one to experience last. Death Of A Tall Man (1946) Painfully obvious but very good book otherwise. Captain Heimrich has a cameo. Hanged For A Sheep (1942) Good book. Somewhat bizarre cast of actors. Sense of the WWll is strong. A Pinch of Poison (1941) Kind of a mess and all over the place. Murder Out Of Turn (1940) Good book. Key book for Weigand. Heimrich has a supporting role. The Norths Meet Murder (1940) Very good. I am glad I did not read this book first, as it makes it more interesting. Mr. & Mrs. North (1936) This is not a detective story but rather 4 to 8 page, generally quite humorous, shorts or "casuals".. Murder In False Face (1968) I have reclassified this one from MISC. Paul Lane has a cameo apperance. Good book. Quest Of The Bogeyman (1964) Paul Lane. One of just two books that feature Paul Lane in the lead role. Night Of Shadows (1962) Paul Lane. Good book. Contains reference to Heimrich but not by name. Troubled Journey (1969) Excellent book! Coming at the tail end of my collection, it was great to find this gem. The Ticking Clock (1962) A tense nail biter, probably my least favorite sub-genre. Cameo appearance by two old friends. The Drill is Death (1961) Good book. Off beat. The Golden Man (1960) Strange book. Creepy feel to it. Very unusual in that it largely takes place in a very squalid setting. The Innocent House (1959) Very hard to find book due to poor quality paper. Catch As Catch Can (1957) One of the first Lockridge books I read. Good non-stop action. The Proud Cat (1951) This one, and The Cat Who Rode Cows were the 89th and 90th books in my Lockridge collection. 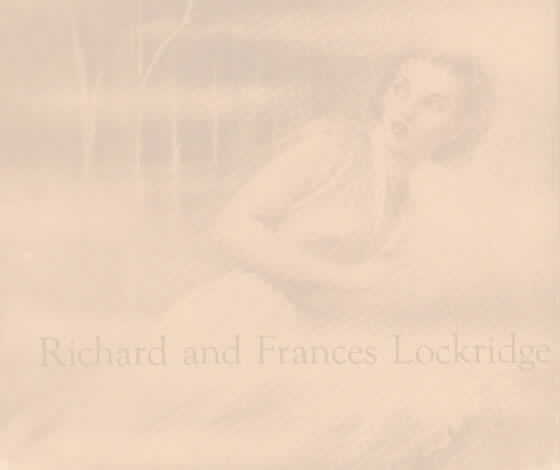 A Matter Of Taste (1949) by Richard Lockridge Very unlike the Norths etc. A rather dark book. Interesting but also gruesome. If you know of titles other than those listed above please let me know.